After poor form in Europe and the SPFL, Celtic have decided to remove Ronny Deila from his position as Celtic manager. The search begins for a new manager! Really like the graphics mate! Good start to this story! 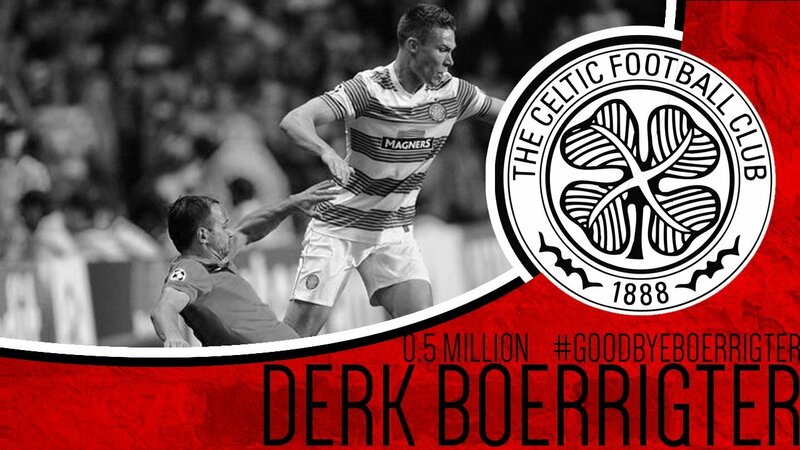 Nice graphics man, bit of text wouldn't go astray though. Keep it up, if this is your start cant wait to see what else you can do! Emilio Izaguirre started the show off early with an excellent volley from a Kris Commons corner in the 6th minute. A quick counter attack seen Celtic double their lead as Kazim played through Griffiths who rounded the keeper and finished it off. Ross County were quick to reply though and they brought the game back to 2-1 with a goal from De Vita. Celtic regained their 2 goal lead in the 16th minute when Zivkovic placed one into the bottom corner on his debut. The Bhoys then made it 4-1 with a close range header from Leigh Griffiths who grabbed his second of the game. The game was struck with a red card to Scott Brown in the 54th minute for an off the ball incident. Kazim finished off the scoring from the Hoops as he sent a powerful header into the top corner. Ross County would grab a goal but it was too late to salvage anything from the game and the final score, 5-2. 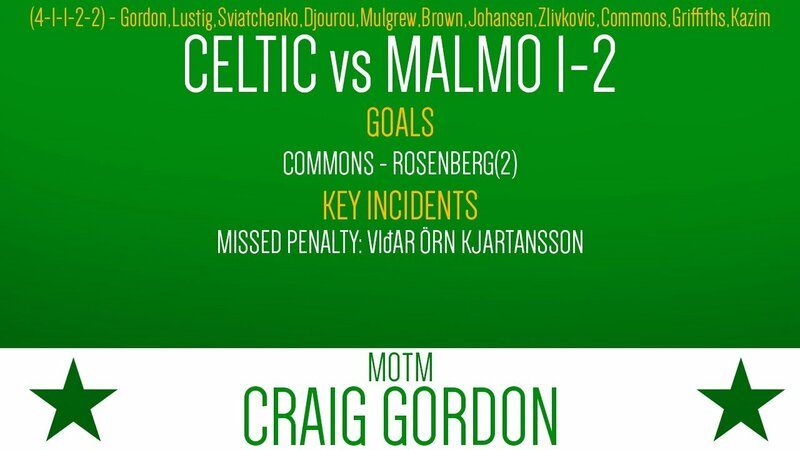 In the second leg against Malmo, Celtic go to Sweden with a 4-0 aggregate score. In the 20th minute Scott Brown brought down Kjartansson in the box and he would be the man to take the penalty, he steps up... and hits it to the left... only to be met by the hands of Craig Gordon. Markus Rosenberg makes up for his teammates mistake and makes it 1-0. Rosenberg doubles his goal tally in the 34th to make it 2-0. In the 56th minute Commons gets his head on to a Mulgrew cross and brings the score to 2-1. Rosenberg had a great chance to get his hat trick but was denied by an excellent double save by Gordon. 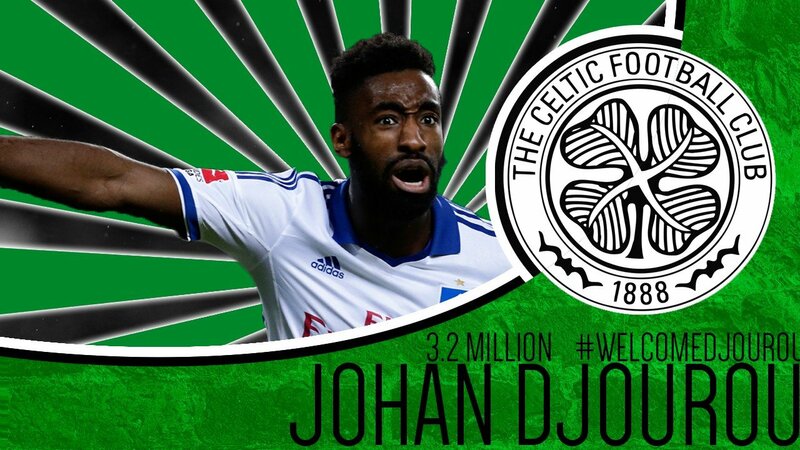 The game came to a stop with the score at 2-1, Celtic now go through to play Ludogorets in the playoff. In a poor performance from Celtic, the Bhoys were defeated at Firhill. Frederic Frans headed in the only goal of the game from a corner. 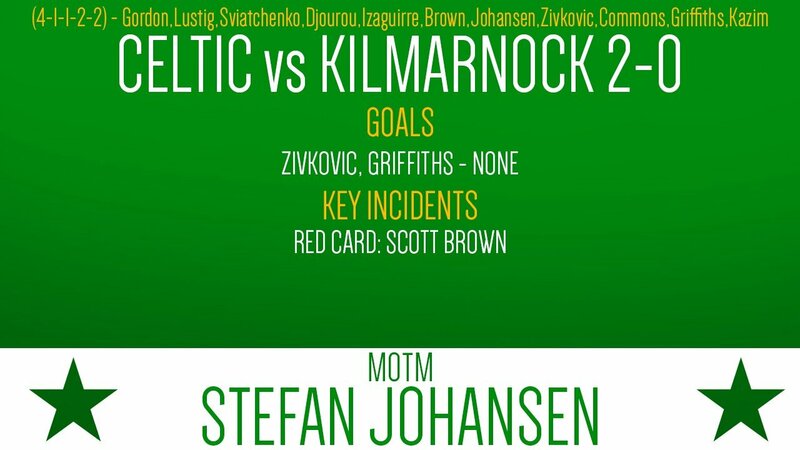 Celtic will look to bounce back with a win against Kilmarnock at Rugby Park. 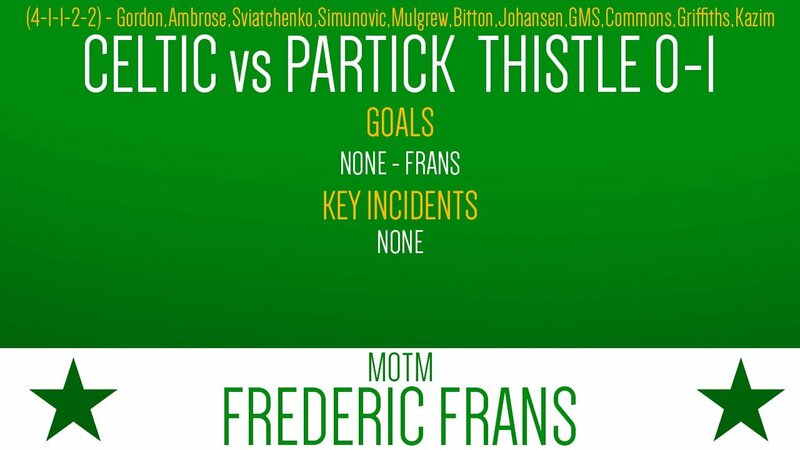 Celtic looked to rebound from the disappointment at Firhill with a win against Kilmarnock. The game started off perfectly in the 8th minute with Andrija Zivkovic scoring on his first XI return to make it 1-0. Scott Brown then marked his return to first team action with a red card making it 2 in 2 for red cards. An excellent save by Craig Gordon kept Celtic in front in the 44th minute. Jamie MacDonald done the same thing at the other end denying Kazim. Stefan Johansen rattled the crossbar on the 77th minute with a long range strike. Jamie MacDonald solidifies his great performance with a save from a short range shot of Griffiths. 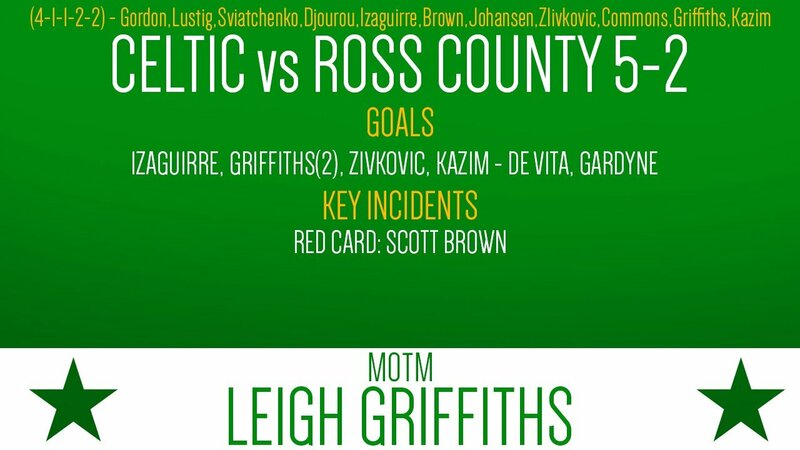 Leigh Griffiths gets his revenge in the 85th minute with a perfectly placed shot. The game would finish 2-0 but it was no easy task for The Bhoys. Celtic started off strongly with a header from Kazim striking the crossbar. Inverness replied quickly though going against the run of play and Danny Williams slots home. Inverness double their lead from a Barrie McKay header. 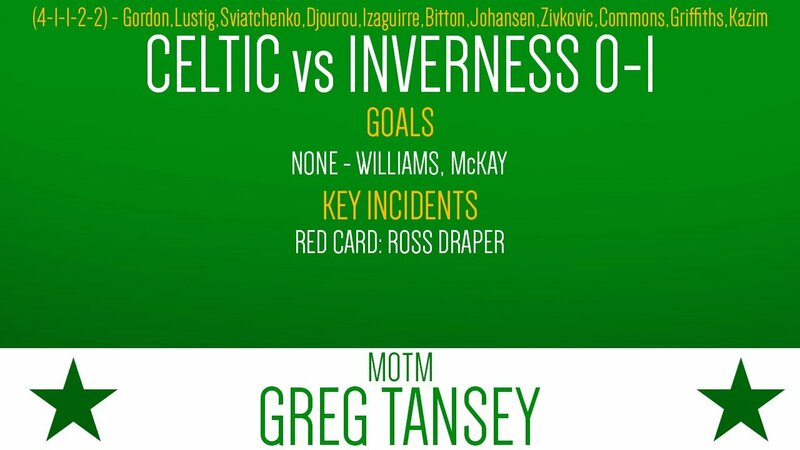 Celtic were given more hope in the 46th minute when Ross Draper was dismissed. 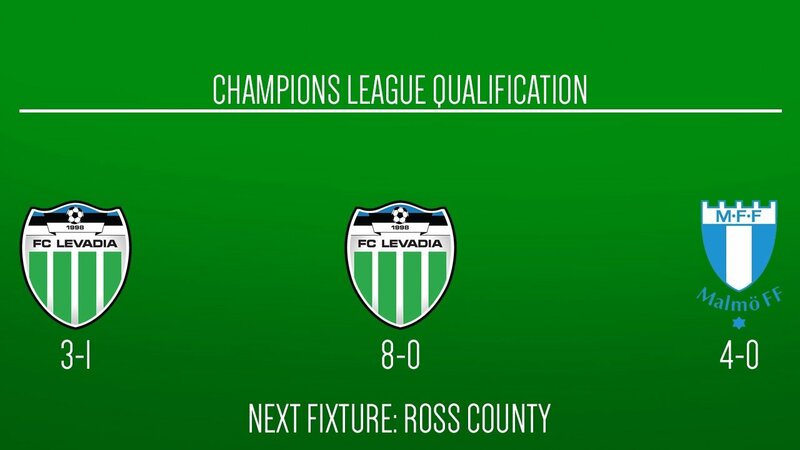 The game would finish 2-0 to the visitors and Celtic walk away with 0 points. Leigh Griffiths with a magnificent lob to open the scoring on 8 minutes. 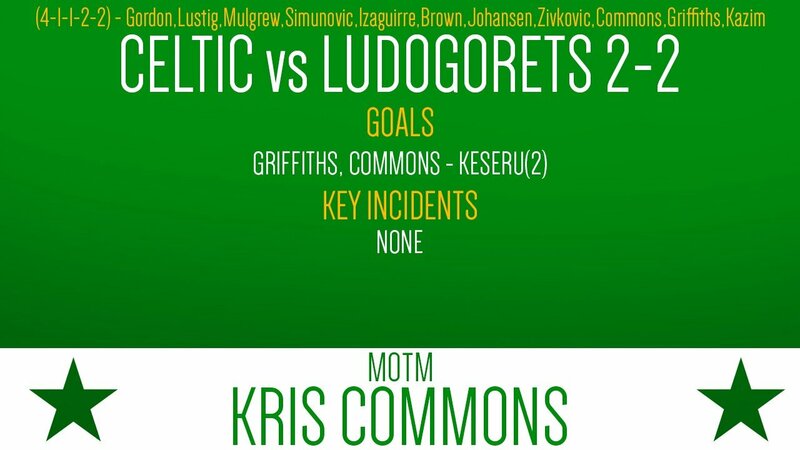 Only one minute later Kris Commons almost rips the net with a long range strike that found the top right corner. Ludogorets have a chance to score as Emilio Izaguirre commits a foul in the box and it goes bottom right, 2-1. 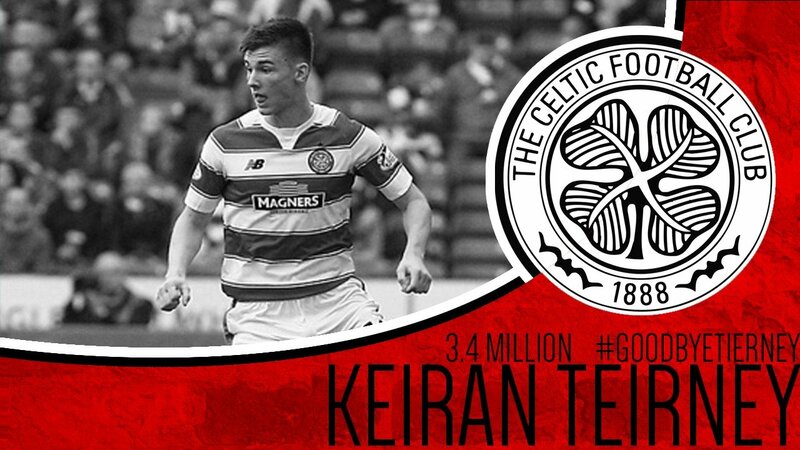 Poor defence from Celtic as Keseru heads in.